New website coming to ECU! 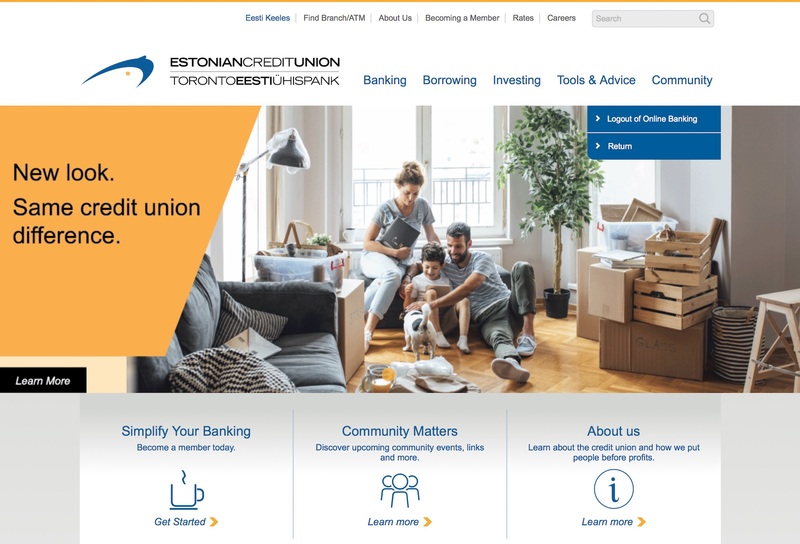 On Monday, August 13th the Estonian Credit Union will be transitioning to a new website and online banking platform. Approximately two weeks after that, we will launch a new mobile banking app. ECU is committed to giving it’s members the best and latest in technology, products and services. For this reason, we’ve partnered with Central1 to implement a new website, online banking and mobile app. These products will help members better manage and understand their money, with new tools and services. This partnership will introduce a new integrated website and online banking, which also means better security and safer access to your accounts. The new partnership will also allow ECU to easily adopt new products and technology in the future. What new things will members be getting? ECU will be introducing a fresh, new design, with a mobile-friendly website and easier to navigate system. The new website will be integrated with online banking, so members can easily browse through the website while remaining logged into their online banking. They will also be able to browse the website on their mobile phones more easily with a nice, clean mobile website. New online calculators, such as Mortgage Calculators and Retirement Planners will be introduced, a new ATM finder, new forms, a better layout, and more. When the mobile app launches, members will easily be able to do transfers, make Interac e-Transfers, check balances without signing in, find nearby free-ATMs and much more. Plus, ECU will be introducing Deposit Anywhere – a tool that lets you deposit cheques easily from your phone or tablet simply by taking a picture. 1. Your login information will remain the same. However, if your password is less than EIGHT characters in length, you will not be able to log in. If that’s the case, please log in to online banking prior to Monday, August 13th and change your password. As of August 13th, you will need to call the branch to access your account. 2. On Monday, August 13th, both Interac e-Transfers and CRA Corporate Bill Payments will be unavailable from 11:00 am – 4:00 pm. 3. The first time you log in, you will need to set up new Security Questions. 4. Call hours will be extended on Monday, August 13th and Wednesday, August 15th until 8:00 pm to ensure members have the opportunity to contact us with any issues. We are excited to share this big change with you. If you have any questions or concerns please contact us in branch. 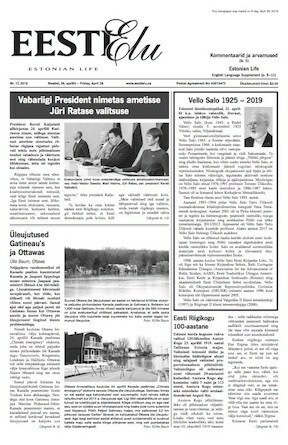 I guess that the most recent article about the Estonian Centre -oops- I mean the Madison Project -oops- I mean the International Estonian Centre - oops- I mean the Prozes international Estonian Centre does not want any negative comments because this is the only article that does not have "Lisa Komentaar " available. 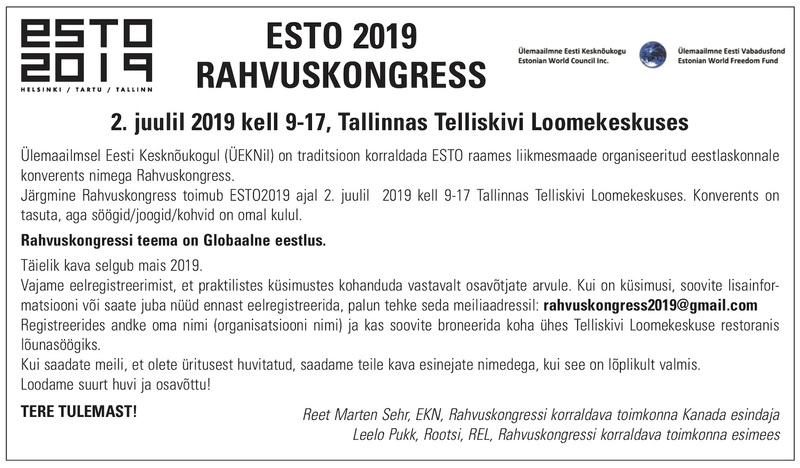 Did the ETCU arrange for this as they have also said that they will pull their ads ( revenue ) from Eesti Elu if it publishes anyting pro Eesti Maja and anti - Madison ? You have divided our community and demonstrated that the powerful get their way through censorship.